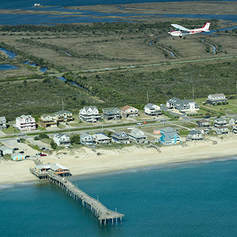 ​In a Cessna Aircraft- Take off from Manteo & fly over the Wright Brothers' Monument, shipwrecks in Kill Devil Hills and Jockey's Ridge. From there we will continue back over the Albemarle sound to Manteo. 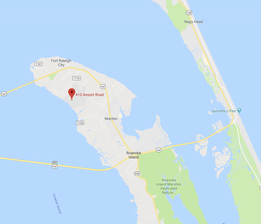 ​In a Cessna Aircraft- Start out with a Discovery Flight and continue further south over Jennette's Pier, see parts of South Nags Head and head back towards Roanoke Island over the causeway. This Tour flies a few minutes longer than the Discovery Flight. 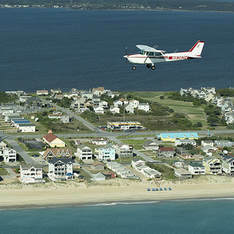 ​In a Cessna Aircraft- This flight takes you everywhere the Discovery Flight does & more. You will see multiple piers including Jennette's Pier & Nags Head Pier, more shipwrecks, Bodie Island Lighthouse, Oregon Inlet and the Bonner Bridge. In a Cessna Aircraft- One of the most incredible times to be above the coast is during a sunrise or sunset. 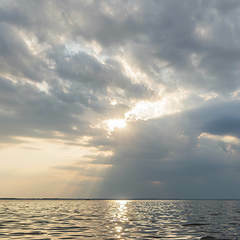 On this tour we will depart from Manteo and head up and down the beach so you can experience the awe inspiring sight of an Outer Banks sunrise or sunset. The $15 Ride is 5 minutes long. Priced per person, it is a short RIDE over the vicinity of the airport. 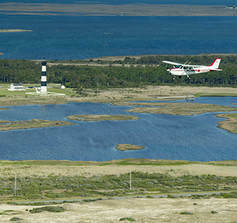 All of our other flights are SCENIC AIR TOURS and starting at $69 you can book an ENTIRE PLANE to fly over the coast and see our famous, scenic landmarks! All of our activities, including flight instruction and personal aerial banners are bookable online or over the phone! 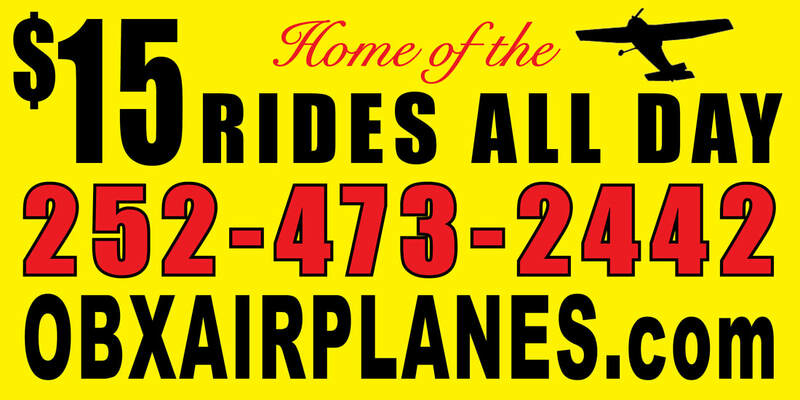 We've chosen to do air tours with our fleet of Cessna 172s & Cessna 182s. perfectly designed with their high wings and panoramic windows. Everyone has plenty of room and their own seat. We fly everyone in groups of up to 3 and we can schedule multiple rides back to back so everyone gets a great tour. We want you to have a good time and enjoy the view. If we don't have what you're looking for, we will help you find it.